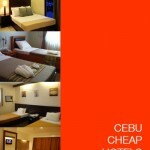 Montebello Villa Hotel is the only garden hotel in Cebu City. It is poised amidst a sprawling hacienda and graced by the blossoming foliage of an aesthetically landscaped tropical garden, colorful bougainvilleas, lotus-filled lagoon and a quaint Spanish-inspired villa. The Spanish-inspired interiors and décor will give you a feeling of luxury and the gardens will refresh your weary mind. Paradise in the city. Montebello Villa Hotel offers a scrumptious array of native and international dishes for a casual bite or for fine dining set in distinctive atmospheres. La Terazza serves breakfast, lunch and dinner al fresco with an overlooking view of the enchanting garden and swimming pool. One can delight in their house specialty Spanish cuisine with views of the garden in El Jardin. The Poolside Restaurant offers mouth-watering treats at a very relaxed atmosphere. Enjoy a sip of coffee at the Café Bougainvillea, cocktails under the stars at the Poolside Bar/Pool Walk, and succulent drinks at the cozy Vamonos Resto-bar. Montebello Villa Hotel also offers a variety of indoor and outdoor facilities perfect for wedding receptions, seminars, banquets and conventions designed to accommodate from 10 to 1,000 persons. Their function rooms are well equipped with audiovisual amenities for your conference requirements. For reservations, contact Montebello Villa Hotel at these numbers: +63(32) 231-3681 to 89. Their fax number is +63(32) 231-4455. 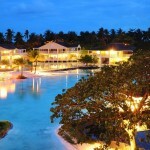 Montebello Villa Hotel is located at Banilad, Cebu City, Philippines. Directions from Mactan-Cebu International Airport: The hotel is 25 kms from the airport and takes around 30-45 minutes by car. Hotel amenities and services at Montebello Villa Hotel in Cebu includes a car service to and from the hotel to the airport.